It’s tough to follow up an album as captivating as Molly Burch’s debut, Please Be Mine. However, Burch followed it up with yet another masterpiece in First Flower. From her clever lyricism, to the gorgeous instrumentals that can be found throughout the record, Burch created a record that is among the year’s finest. And a statement at that. “Candy” sets Burch’s deceptive tone, an anxious track that sounds summery and groovy. On “Wild”, Burch wishes to channel her wild side. “Good Behavior” is an amazing, introspective track that is one of Burch’s strongest vocal performances on the record. She charms with the Laurel Canyon vibes of “Dangerous Place”, but her words are personally piercing. As she sings, “I hope I learn from my mistakes. I hope I forgive myself one day”. At the same time, she seeks to make her mark, as revealed on the provocative and clever “To The Boys”. As she proves on First Flower, one does not need to make a statement by being louder than the rest. Instead, with a sharp pen, a witty and dichotomous approach, and a voice to remember, one can still provoke, tease, and speak loudly. One can still deliver another modern-day classic gem, which Burch has done once again. Molly Burch burst onto the music scene in 2017 with her debut “Please Be Mine” a ten-track ode to unrequited romance written after studying Jazz Vocal Performance in Asheville, NC and earned immediate praise from critics for her smoky, effortless vocals and bleeding-heart lyrics. Following a year of touring all over North America, Europe and the UK alongside the likes of Ought, Alex Cameron, Grizzly Bear and Courtney Barnett amongst others, Burch then returned to Texas to decompress. Finding herself suddenly devoid of stimulation and with nothing but time on her hands, she began anew, bouncing ideas off her bandmate and boyfriend Dailey Toliver who contributed guitar parts and orches­tration suggestions – and, slowly, an album took shape; soon after, “First Flower” became real. 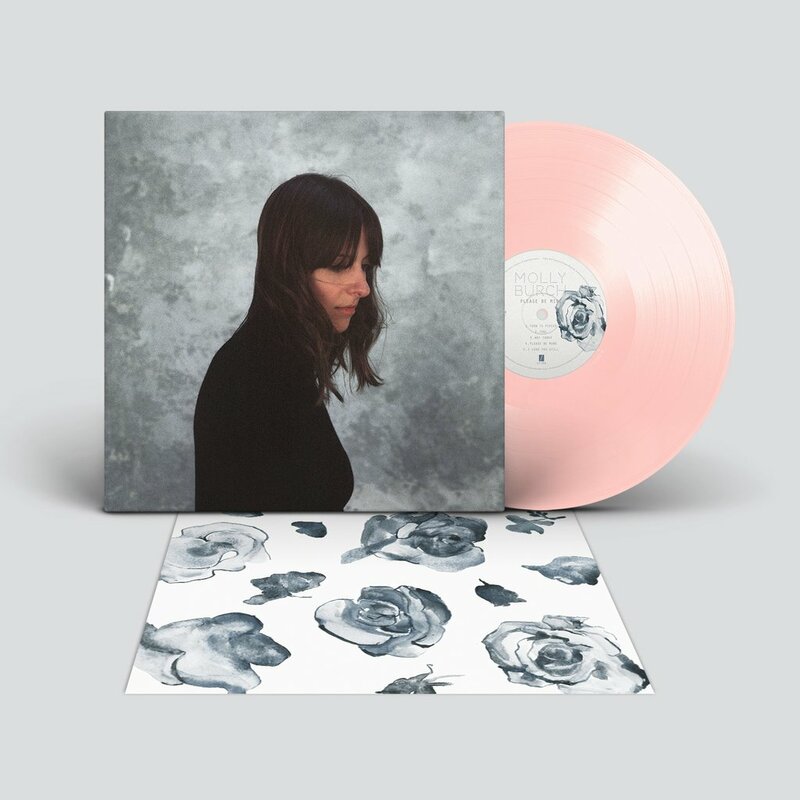 A walk-through Burch’s most intimate thoughts her broken friendships, sibling relationships and overwhelming anxiety – First Flower is a bright, beautiful album peppered with moments of triumph with Burch’s voice as strong and dexterous as ever. First Flower is a shapely sonic stage to let Burch shine on. The composi­tion and production carefully constructed to compliment and not over power. I love this album. It feels more opened up and energetic from the fantastic debut album “Please Be Mine”. Molly’s voice is a treat. Los Angeles-born, Austin-based Molly Burch is a force to be reckoned with, albeit a subtle one. Her debut LP, “Please Be Mine”, was released in February and was not just among one of the year’s best albums by a newcomer, but one of the best period. The record is heartfelt, intricate and unconditionally romantic. As a trained jazz singer, Burch’s vintage vocal anchor the 10 songs, particularly on the standout track “Fool” and the title track, “Please Be Mine.” With dual talents for Laurel Canyon folk and Hit Parade pop of the ‘60s, she’s a breath of fresh air in comparison to much of today’s overly processed singer-songwriters. This year she opened for everyone from Lucy Dacus to Grizzly Bear, so keep her name (and her album) in your brain. 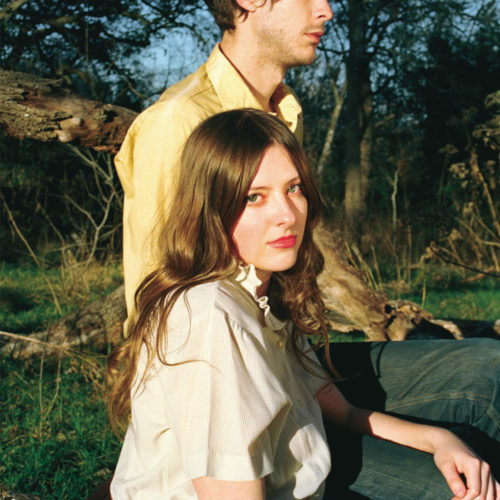 The Austin-based Molly Burch is a force to be reckoned with, albeit a subtle one. Her debut LP, “Please Be Mine”, was released in February and is not only one of the year’s best albums by a newcomer, but one of the best period. The record is heartfelt, intricate and unconditionally romantic. As a trained jazz singer, Burch’s vintage vocal stylings truly shine throughout the ten songs, particularly on the standout “Fool” and the title track, “Please Be Mine.” Burch’s songwriting and voice is wholly complemented by guitarist Dailey Toliver’s delicate instrumentation, creating a thoroughly-nuanced album perfect for these telling times when all we really need is a bit of love. Growing up in Los Angeles with a writer/producer father and a casting director mother, Molly Burch’s childhood was filled with old Hollywood musicals and the sounds of Patsy Cline, Billie Holiday and Nina Simone. After finding her voice in adolescence, Burch packed up for the University of North Carolina in Asheville to study Jazz Vocal Performance. “I was always really interested in singing before songwriting. I didn’t always have the confidence to write,” Molly says, “Initially it was more about finding the right songs to complement my voice.” And that voice is the first thing you’ll notice on Burch’s debut album, Please Be Mine. It’s smoky, with an incredible range, effortlessly evocative of her early influences.